We recently talked about Wix.com’s new website builder, but they haven’t stopped now. Their latest act is the launch of the Wix Music 2.0, which not only allows new musicians to create a music website, but also look after selling and other opportunities. In doing so, they have partnered with Macklemore and Ryan Lewis. “Wix has made it so simple to redesign/format our website and make future changes. It beats the normal CMS that I have battled with for years!”. Polar Patrol is a pro-active music publishing service for songwriters, artists and musicians set up by Jonny, Nathan and Gary from Snow Patrol which is run day to day by Steve Farris. Their small team offers a hands on approach to publishing with the aim of nurturing new songwriting talent and artist development. Definitely a great service for those who are after some publicity. 21st October 2015 – Wix.com Ltd. (Nasdaq:WIX), the leading global web development platform, announces the launch of Wix Music 2.0, its one-stop-shop technological solution for musicians and the online music industry. Headlined by a partnership with Macklemore and Ryan Lewis the Wix Music launch also includes an innovative campaign on YouTube entitled #OpeningAct that will generate more than 100 million views for Wix Music users’ videos. Freeing musicians from the expensive and time-consuming task of piecing together the tools they need, Wix Music is a complete, commission-free platform, empowering artists to independently introduce, share, sell and distribute their music directly from their Wix websites. For the Wix Music launch, Wix has joined forces with Macklemore & Ryan Lewis, artists whose rise to stardom serves as a model for musicians seeking to take full control of their careers. Macklemore and producer Ryan Lewis, who are gearing up for the release of their new album, are the perfect artists to drive this message home. As part of this collaboration, the Seattle-based duo are creating a series of custom videos for Wix Music users to help mentor emerging artists and provide valuable guidance on how to succeed as an independent artist. 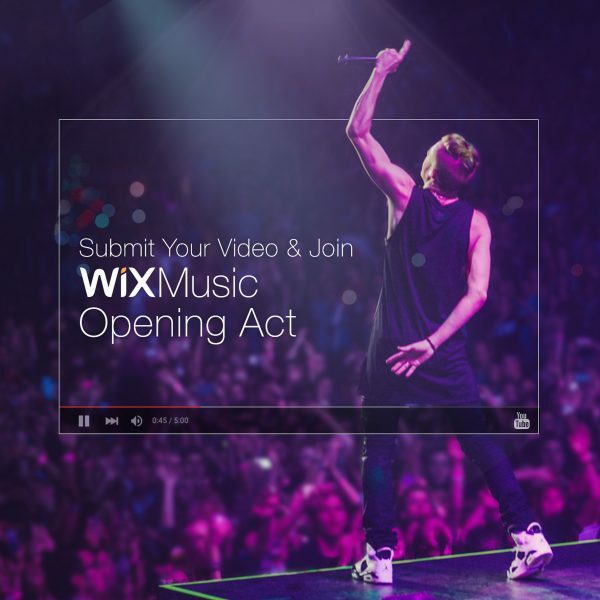 As part of the Wix Music launch, Wix will also be launching the #OpeningAct campaign – a large-scale initiative on YouTube promoting Wix musicians on the world’s biggest stage. Over the course of one week, Wix will generate more than 100 million views for users’ music videos showcasing them as the pre-roll to the music videos of the world’s top musicians, effectively turning them to the online #OpeningAct for today’s biggest stars. Previous story Will Technology Change The Future Of Fashion? Next story Has Technology Changed The Way We Game?